The following recipe makes two sandwiches. Take one slice of sourdough and spread a generous dollop of mayonnaise and mustard. Place another slice of bread on top of the mayonnaise and mustard, press down so that both slices now have mayonnaise and mustard. Take half the amount of tomatoes and place them onto one of the slices of bread. Close the sandwich with the other slice of bread and press firmly so that the tomatoes become embedded into the sandwich. 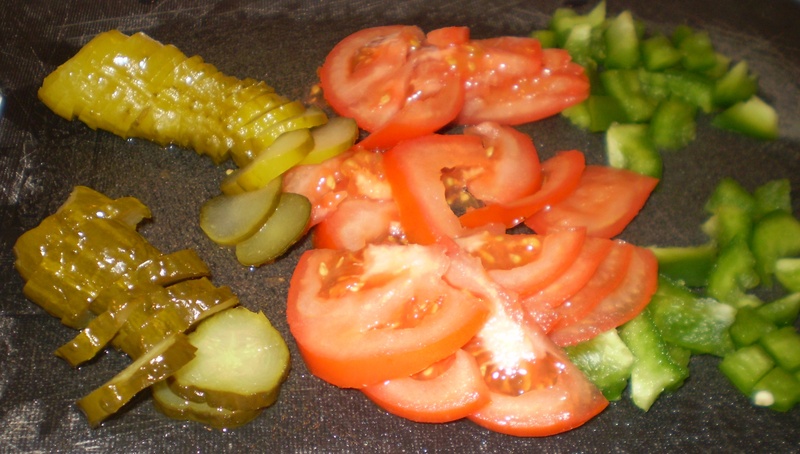 Open the sandwich and place half the amount of green peppers, pickles and salami onto the tomatoes. Cut the sandwich in half and now the first sandwich is ready to eat. Repeat for second sandwich. 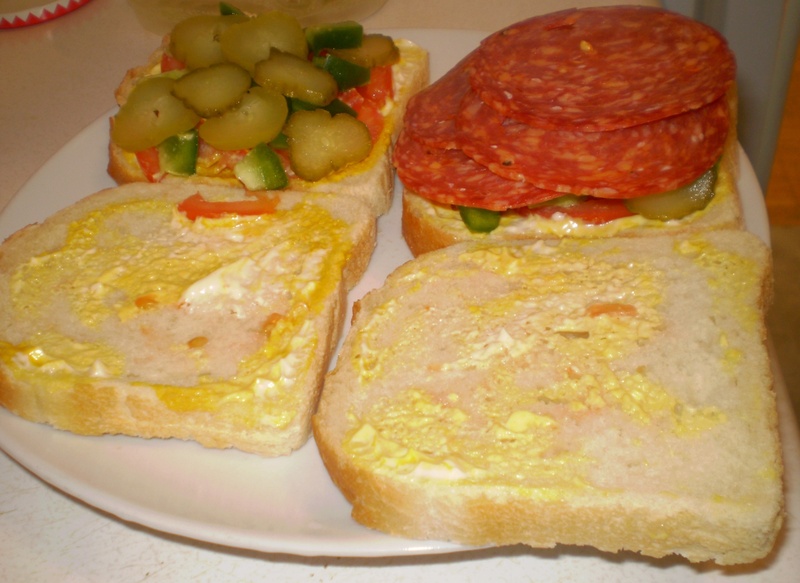 It’s the exact combination of green peppers, hot genoa salami, tomatoes, pickles, mayo and mustard on sourdough bread that makes this sandwich so delicious. It is tangy and refreshing and the hot genoa provides a subtle spiciness. I have eaten this sandwich many times and it truly is best made without any substitutions or omissions but you can adjust the quantity of ingredients to suit your own tastes. Thank you to Andrew for sharing his “Andrew sandwich” recipe.